How many potential customers are missing an opportunity to visit your company's Internet site ? Click here for information on listing your company on The Boiler Room. Our inexpensive rates leaves your company no excuse for lost business traffic. When is the last time a product changed an entire industry? Simply put the HeatSponge Sidekick makes most condensing boilers obsolete. The Sidekick is a simple bolt-on on all stainless steel condensing economizer designed to allow any conventional boiler to achieve condensing efficiencies on either an new or retrofit basis and at significant lower cost than dedicated condensing boilers. Sidekick's also allow for the use of duel-fuel boilers able to achieve condensing efficiencies. Boilerroom.com offers Emerald Corporate Sponsorships. In addition to all listings on the Boilerroom.com site the Emerald Sponsorship also includes a placement of the sponsors decal on the Boilerroom.com NASCAR Late Model stock car. The annual cost for this sponsorship package is $ 3,000.00. If interested please fill out the form at the bottom of this page and make note of the request in the data field. Thank you. Specializing in the design and manufacture of industrial boiler economizers. Contact us for all of your heat recovery equipment and heat exchanger needs. We specialize in economizers, tubular air heaters, steam coil air heaters, air cooled condenser units and other heat recovery equipment for clean and dirty applications. Boilerroom Equipment, Inc (BEI) engineers and manufacturers ASME pressure vessels and steam systems for customers in the commercial and industrial steam boiler industry as well as in other industries such as food service and process manufacturing. BEI specializes in wet and dry steam accumulators. BEI offers a full range of engineering services for your facility ranging from consulting engineering services to the design and installation of a new steam plant. Our Boiler Procurement Assistance program will help a custom make a most informed boiler purchase decision. We specialize in custom projects. 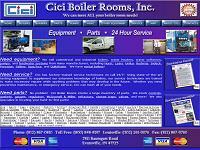 Cici Boiler Rooms is a manufacturers representative, sales organization, and boiler service company in Evansville Indiana. Visit Cici's new and super-expanded Internet site. English Boiler is one of the leading Industrial Package Watertube boiler manufacturers in North America. English Boiler designs and manufactures reliable and efficient steam boilers and hot water generators for industrial, commercial, and institutional markets throughout the world. English Boiler is a complete service organization and employs a staff of engineers and service technicians dedicated to building boilers to the customer's specifications. Gault Heating, originally Gault Brothers Heating was started in 1955 by Arlie Gault. With the help of his eight brothers, Arlie grew Gault Brothers Heating into an accomplished Hubbard business. With Arlie’s untimely passing, the business passed to his son, Glenn, who continues to run it as Gault Heating, today. Glenn has created a reputation for master crafted metal work and exceptional customer service. Glenn’s son, Glenn Jr., is continuing Gault Heating into its third generation. The father/son duo is committed to maintaining their excellent reputation and continuing to provide you with personalized customer service. Today Gault Heating has the ability to handle all of your heating, air conditioning, ventilation, duct cleaning, and zoning needs. Call today to find out how Gault Heating can maximize your comfort and save you money! Adding an economizer to your boiler is a cost effective way to increase its efficiency and save energy. 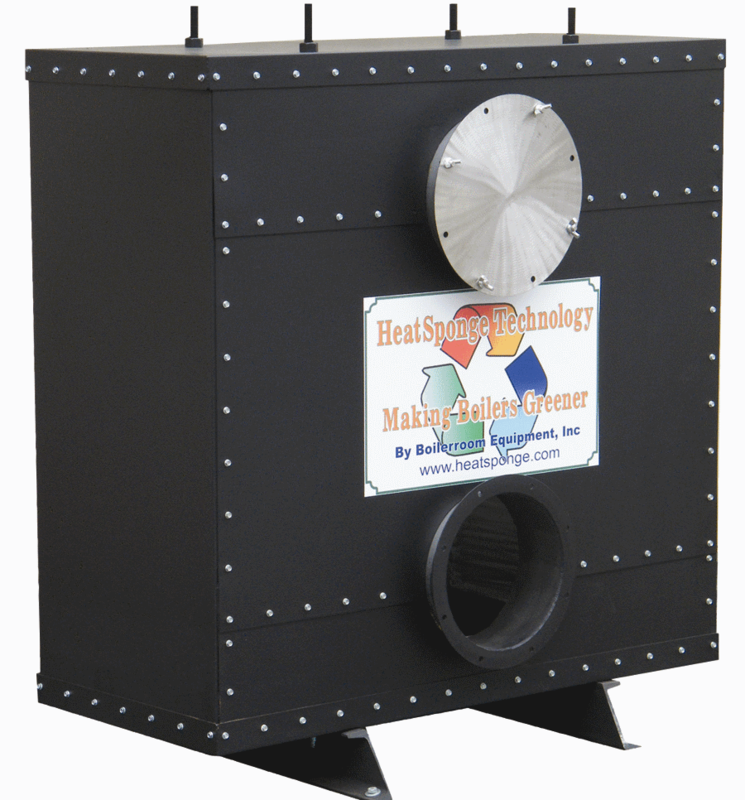 The Heatsponge economizer is the most advanced unit available. Visit our website for an on-line performance calculator and unit pricing. KRC Technologies, Inc. is a software developer and reseller of engineering software for all engineering disciplines. Also find calculators and reference books. Downloadable demos and screenshots for over 100 software products. Triad Boiler Systems manufactures uniquely rugged small-footprint hot water and steam boilers. All our boilers use 12 gauge firetubes in compact vessels that fit through 3 foot wide doorways! Inputs range up to 1700MBTU. Create a highly efficient system with millions of BTU's by sequencing a string of these modular vessels. Webster Engineering is a leading global burner manufacturer. Be sure to visit their new expanded Internet site and check back for their on-line on-line catalog to be up this summer. Place a listing for your company here for only a one-time fee of $ 100.00. Information for placing a listing found at the bottom of this page. company. ABILENE Inc. is the New York metropolitan area's industry leader in the design, sales, installation and service of boiler room and heating plant equipment. The primary reasons for Abilene's success are excellent service, cutting-edge technology, and a sense of professionalism that has been developed and driven by a strong work ethic. Abilene Inc. prides itself in over a half-century of experience and is constantly expanding its fields of expertise. The professionals at Abilene are able to address the problems and create solutions for today's environmental concerns. Serving all of the boiler needs of the US Southeast. New and used boiler sales, 24 hour emergency service, rental equipment. Our customers take comfort from our human resource, knowledge base and skill levels that have been achieved over fifty (50) years of experience in supplying Boiler, Air Heater, Heat Exchanger Tubes and Welded Pipes. This has given us a position amongst the top two suppliers to the industry from this part of the globe. Heat Transfer Equipment manufacturer: Shell & Tube Heat Exchangers, Fuel Oil Heaters, Blowdown Heat Recovery. Visit our Internet site for information on our company. Serving the Chicago area Engineers and Contractors for over a decade in boiler/burner selection and installation. Green Building products for hot water heating and process steam. BA HERCS, Corporation manufactures ELGE® high efficiency shell and coil heat exchangers for central and district heating systems. Our patented MAC system utilizes compact, efficient heat exchangers connected to common manifolds and features special shut off valves to each heat exchanger. Replacement, maintenance and repair can occur without service interruption. Additional special packages available. Our company has been serving the industry since 1957 and specialize in new and used boilers, burners, refractory, retubing, piping, and welding. We carry a full line of these items in stock and can respond to your needs within 24 hours. As a family owned and operated company, we are confident to get the job done with quality and efficiency. Any questions or inquiries, please do not hesitate to contact us either by phone or e-mail. Condition Assessment, Useful Life Studies, Life Extention Services, Testing & NDE Services & Engineering & technical services for: Water Tube & Fire Tube Boilers, Pressure Vessels, DA & Feed Water Tanks, Piping, Plant Equipment. Contact us at Phone: 630-510-3253, Fax: 630-510-3261, or visit our website for more information. 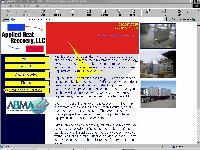 Consulting & Technical Services: · Plant evaluations, system troubleshooting, control upgrades. · Thermal energy systems: boilers, burners, chilled water systems, HVAC. · Design specifications for new or existing systems. · Building systems evaluations. 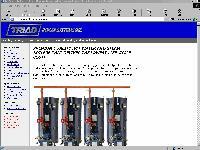 · Boiler system steam/heat balancing. · Power plant optimization. 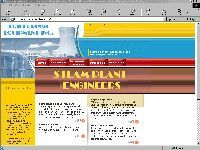 · Steam turbine prime mover conversions. Energy Management · Certified Energy Manager (CEM®) by the Association of Energy Engineers. · Plant energy audits. · Utility bill review, verification, evaluation. · Energy systems improvements and automation. Technical Training - License preparation courses for: · Low Pressure Boiler Operator · High Pressure Boiler Operator · Stationary Steam Engineer, 3rd, 2nd & 1st Class & Chief Engineer Courses available for all State and City licenses and National licenses issued by the National Institute for the Uniform Licensing of Power Engineers (NIULPE) Instructors hold Ohio Vocational Education teaching certification and NIULPE Instructor Commission and Examining Engineer Commission. On-site classroom and distance learning course formats available. Sales and service of boilers and burners call 1-866-9BURNER or fax 713-453-3679. Hot water tanks, tank linings, heat exchangers, pressure vessels, storage tanks. For over 70 years, Coffin Turbo Pumps have set the standard for quality and reliability in steam turbine driven boiler feed pumps.From our beginnings in the 1920's manufacturing ultra compact boiler feed pumps for steam locomotives, to the premier manufacturer supplying the feed pumps on the state of the art LNG tankers, the Coffin name is synonymous with boiler feed pumps in the marine industry, and are fully applicable to land based applications. Our pumps are constructed of a single shaft, with the turbine at one end, and the impeller at the other, eliminating the need for a coupling, and allowing for instant start-up. The pumps operate at speeds of 7000-9000 RPM which allows for high efficiency, and only one or two impellers. Our range of pumps is designed for capacities to 1550 GPM, total head to 2130 PSIG, inlet steam to 1050 PSIG, and a steam temperature to 950 FTT. Worldwide network of parts and Expert 24/7 service engineers. The fuel-fired equipment specialists. Services include testing, inspections, engineering, turnkey upgrades, burner tuning and customized training. Damarc Quality Inspection Servciess LLC. Manufacturers of high efficiency, direct contact hot water generators. Manufacturers of low pressure steam and hot water packaged firetube boilers. These boilers are available as either factory assembled or field erected units. Commercial & Industrial Heating Specialists, serving the New York City metro area. We install and service boilers by all manufacturers. We install top name multifuel burners. We service ANY burner ever built, running on ANY fuel. We provide emergency service, 24 hours every day of the year. Let us prepare for, and conduct your triennial DEP inspections. City annual inspections and burner overhauls performed. Please contact us for pricing on our Service and Maintenance contracts. City Office: 1800-246-WARM, LI Office: 516-795-5828, FAX: 516-795-9087. First Quality Solutions provides affordable, effective and complete solutions for all of our customers inspection needs through the highest levels of NDE, Quality Control, and Quality Assurance Services. Contact us by phone at (440) 415-1112 or by fax at (440) 415-1183. Visit our website for more information at http://www.firstqualitysolutions.org. Manufacturers of Brock Turbulators, BET Automatic Firetube Sootblowers, Ultraspray firetube cleaner, Brock Digital Stack Monitor, boiler gaskets, and much more. Gasmaster Industries manufactures and markets a comprehensive line of 22 models of high efficiency, low NOx boilers and hot water heaters. Gasmaster is the only known manufacturer in the world focusing exclusively on one-pass high efficiency, low NOx products. We are the proud recipient of an AHR Innovation Award in 2006 and another in 2003. Our range of condensing boilers is an industry marvel. Complete line of full services to all types of boilers in Mexico, Central, and South America. G.S Dunham is a manufacturers representative For MEPCO (Dunham Bush) dedicated to the professional service and sales of Dunham Bush VARI-VAC steam heating systems and equipment with expertise in all steam and heating systems and equipment. Manufacturers of venting products for category II, III, & IV gas-fired boilers where the special alloy AL29-4C(registered trademark) is required. This corrosive-resistant stainless steel is the only alloy found to stand up to the corrosive condensation for prolonged periods of time. Our laser technology in cutting and welding assures you the highest quality products for your venting needs. Call 800-772-0739. Holman Boiler Works, Inc. is a fully integrated boiler sales, service and rental company, doing business throughout the USA since 1947. Complete code certifications, large parts and tube inventory, reconditioned boilers in stock, as well as, in house tube bending and finning capability. Hutson and Sons is a full service boiler and welding company using only certified welders. We are holders of both the R-Stamp and the ASME S-Stamp. Our President, Mr. Jack Hutson, has been in the business for over 40 years. Combustion/Stack/Flue Gas Analyzer. ( portale & stationairy fixed ) For the contnuous and simultaneuous measurement of air temperature / flue Gas temperature / O2 / CO / CO2 / SO2 / NO / NO2 / NOx / H2S / HC / CH4 / H2 / NH3 / O3 / efficiency / losses / excess air / lambda / draft / soot automatic calibration - self check - usable for all Fuel - easy for operation. IMR Inc.
Other Locations in: Bentley Australia; Niagara-on-the-Lake, Ontario, Canada; Lewiston, NY and Augusta, GA, United States. I.Q. Technology specializes in the creation of interactive multimedia CBT for industry. We have recently released 2 self-paced CD-ROM based courses designed to meet the specific training needs of small to medium sized packaged boiler installations. The courses were developed in close collaboration with Rolls Royce (Cochran & John Thompson Boilers) & Spirax Sarco. Both companies provided expert technical support & resource material. The courses have been accredited by the Qualification Authority in New Zealand as approved license training for Boiler Attendants (up to 20MW) & for Responsible Persons in charge of automatic Unattended Boilers. The Packaged Boiler Operation course was the recipient of an award at the OLLO learning technology conference Los Angeles 1999. A full description is available on our website. Over 25 years of service to industrial boilers. Serving Southeastern Michigan, we offer sales, service, installation, and repair of most all boilers. We carry a full stock of boiler tubes and can respond to your emergency repair needs quickly. Industrial, Commercial and Residential heating and cooling contractors. Sales, service, repair and installation of all types of burners and boilers. Management Systems Consulting LLC is a technology consulting firm specializing in the unique operational needs of the marine and offshore operator. The core competency lies in using technology to manage operations and provide positive return on that technology investment. For more than 25 years, Nationwide Boiler has provided boilers to the new, reconditioned, and rental boiler markets. Manufacturer and exporter of various steam, hot water, combination boilers, and water softeners. The Parker Boiler Co. was founded in 1919 and is a world-renowned manufacturer of steam boilers from 1.5 H.P. to 150 H.P. with pressures to 250 PSI capable of delivering dry steam in under 10 minutes. We manufacture direct-fired hot water boilers (available as gas, oil, propane, or combination-fired) ranging from 300,000 to 6,800,000 BTU, with operating temperatures to 400°F degrees and pressures to 300 PSI. Our indirect-fired water heaters (available as gas or propane-fired) range from 300,000 to 3,000,000 BTU input, with operating temperatures to 190°F degrees and pressures to 150 PSI. We manufacture high temperature thermal liquid heaters (available as gas, oil, propane, or combination-fired) for process-heating up to 650°F degrees, ranging from 126,000 to 6,250,000 BTU input. We also are the makers of low NOx steam and hot water boilers and burner systems. Most models are UL or ETL listed. In addition to manufacturing our products, Parker Boiler is in the business of providing expertise and support to our customers. Good Boiler Control Website, SAMA examples and control schemes. Power Mechanical, Inc. provides boiler-related services throughout the We are a manufacturers representative and service company. We represent York Shipley Boilers, Ajax Boilers, L.E.S. Boilers, Miura Boilers, Victory Energy watertube boilers, Webster Engineering burners, Midco gas burners, Hamworth Peabody utility burners, Honeywell and Fireye controls. For boiler room valves, pumps, controls & gauge glass, Power Plus International is one of the fastest growing full line boiler room parts suppliers. Power Plus is America's Choice for Boiler Room Supplies. Ask for our Free 40 page Catalog. Quality Code Consulting is a consulting company committed to helping process companies, manufactures, fabricators, suppliers and repair companies in all aspects of quality control; especially those that pertain to the American Society of Mechanical Engineers (A.S.M.E.) and the National Board Inspection Code (N.B.I.C.). Featuring on-line purchasing of weld procedures. R & L Boiler offers Boiler Rentals Boiler Sales Boiler Repairs Boiler Service in the Intermountain West. Utah, Colorado, Idaho, Wyoming, Nevada, New Mexico, Arizona R & L Boiler is R Stamp certified. Boilers are all we do!! Visit our home page http://www. boilerschool.net today, and take admission into one of the above certificate programs. I provide DVD based training for people who want to prepare for a Steam Engineer License Exam or just want to learn more about boiler safety and operation. Synergy International provides expertise that covers all aspects of steam system assessment and management through the Caribbean, Central and South America. Our end to end capability extends from procurement, equipment sales, mobile steam plant rentals, installation and service to an ongoing system support and consulting. We provide solutions by making technology work for you. We are centrally located in Caguas, Puerto Rico the heart of the Caribbean. Visit our Internet site for more information. Tasco Valves Unlimited is a manufacturer of the TASCO brand continuous boiler blowdown valves. Visit our Internet site for more information. We represent some of the highest quality boiler manufactures such as: Cleaver Brooks, Nebraska Boiler, NATCOM, Industrial Combustion, Precision Boilers, Parker Boiler and Raypak. Our fleet of over 60 factory trained technician provide the highest quality 24-7 service and support for all your boiler related needs. Call Tate to learn more about our high-efficiency products at 1-800-800-TATE (8283) or email us at emailus@tate.com. Texas Boiler Parts is a div. of Bell & Assc.a manufactures rep. co. Suppling Boilers, Burners, Controls, feed Water Systems and replacement parts for commercial and industrial boiler room systems. Please click our website for more information including contact information. Fabrication of proprietary molded rubber Topog-E boiler gaskets that have been the industry standard for over 35 years. Unlimited Energy is a manufacturers representative, sales organization, and boiler service company in Buffalo, New York. Wabash Power is an international leader in industrial rental boilers and power generation equipment. Since 1949, we have supplied thousands of boilers, turbines, generators, and pulverizers around the world. WARE is one of the largest boiler rental compaines in the country. For over 50 years WARE has had the privilege to serve the country with boiler rentals, new & used boilers, burners, chillers, valves, parts, sales and service. Visit our Internet site for more information. 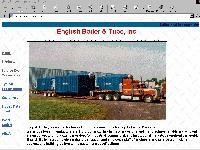 Watkins has designed and built mobile hotwater / steam plants for over 100 years. All are in regular use as part of the company's large rental fleet now consisting of over 120 units. WBI: FIRST CHOICE IN BOILERS,OVENS, AUTOCLAVES, FURNACES, BURNERS AND CONTROLS. WBI is a leading service, parts and products firm for steam and hydronic systems. Our sole business has always been the sale and service of heat transfer, steam producing products and parts to various commercial industries. Building from an excellent track record we continue to excel as a value-added provider of equipment, technology and services, approaching the marketplace from a (total systems) solutions perspective. 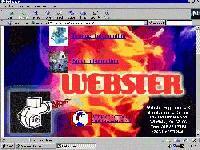 Does your company need a basic Internet Site ? 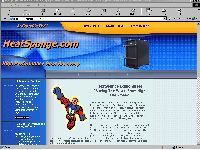 Basic Home Pages start at $ 275/year, expanded sites are typicaly less than $ 500/year, and these prices include website construction, propogation, and your own company's Internet address of www.yourcompanyname.com. Maybe you want a site with bigger impact ? Top of the line Internet sites consisting of over 30 pages and including streaming media and interactive response pages are also available. Call for custom pricing. Your company already has an Internet Site ? If your company already has an Internet site, add a link from this page to your site for a one time fee of only $ 100. Price also includes a listing on our Index Page. Contact The Boiler Room now ! E-mail us direct or use the form provided below. Bring the Power of the Gosteam.com Search Engine to Your Website ! Click here for information on becoming a Gosteam.com affiliate. Please note if the affiliate site is removed after payment is received your listing is subject to be removed and all payment forfeited. NOTE ! 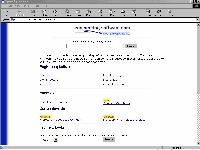 The form below is for information on placing your company on this Internet site only. If you are interested in buying or selling new or used equipment please go to our Classifieds Main Page, if you are interested in general information please go to our Information Main Page. Sales and general information questions are not handled by this form. By clicking this box you acknowledge payment of $ 100.00 for listing services. Unchecked submissions will not be processed. You will be contacted with payment directions after request is received. 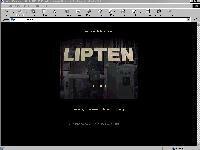 [an error occurred while processing this directive] :Copyright © 2006 Boilerroom.com All rights reserved.